Comments on this post are now closed. Winners will be announced shortly. 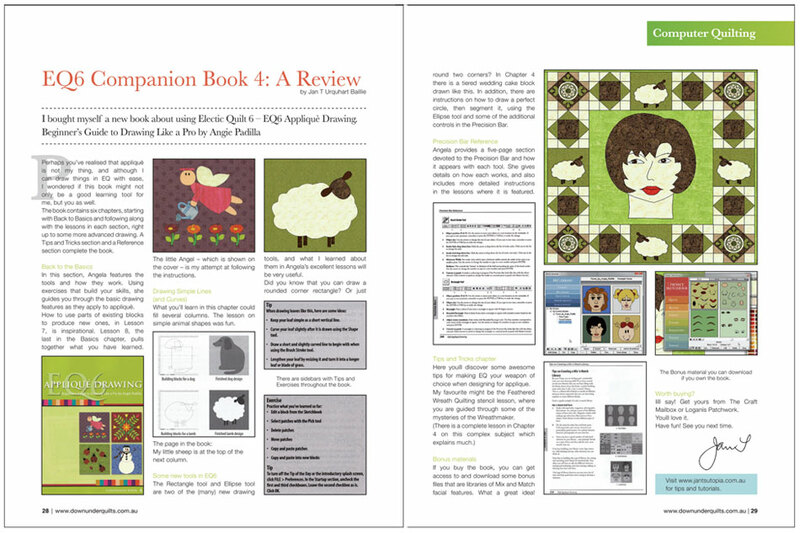 I was browsing through the latest digital edition of Down Under Quilts magazine a couple of days ago and lo and behold came across a review of my book EQ6 Appliqué Drawing. It’s very flattering to see things written about oneself, to say the least. And I find it very interesting to read about what draws someone else’s attention and what they have learned using this book. To read the full review, pop on over to Down Under Quilts magazine and log in to read the latest edition. I then saw this same article featured yesterday on the EQ blog. And a reminder: all EQ6 Companion books are still resources for EQ7. One of the nice things about EQ7 is that it builds on what was already available in EQ6, so there isn’t all this re-learning to do. Any new learning is precisely that: new features. Everything else continues to work the same. With regards to the Patch Draw blocks (and the Applique Drawing table), there is only one new tool to learn, and instructions for it are covered quite adequately in the User Manual and Help files. The tracing table is improved and pretty self-explanatory. Outside of that, everything covered in the EQ6 Applique Drawing book continues to apply to EQ7. Now, isn’t that cool? Ok, so what does this have to do with a Giveaway? And a partial one at that? Well, it turns out that when the book was first published I received a little stack of books that I could do anything I wanted to with. And there are only a couple other people in this country besides me who use EQ. A few were given away as gifts, and I kept a couple myself. But at the end of the day, I still have 5 copies left. And it’s such a shame to think of them collecting dust when someone could be using them. Quite unfortunately, the postage out of Ecuador is terribly expensive – it practically costs the same to mail it as it would to purchase the book at the store. So here’s my offer: if you are willing to cover half the postage, I will cover the other half and the book is yours (your cost if located in the Americas would be US$ 10, and for Europe and other regions, the cost would be US$ 12). Just leave a comment on this post indicating your interest, so we can contact you. This offer will stand until June 20th, at which point the five books will be raffled. For more information on this book, click here. I love your designs. 🙂 They are easy to use and make great gifts. I had to sign up for this. It’s my 50th birthday today. 🙂 Maybe that will give me a little luck. I would also love to get a copy of your book and would gladly pay half the postage. You are so generous, not only about the book, but your patterns on the website are fabulous. Thank you so very mucn! I hope to soon be able to renew my membership with your. I love all your designs. Having an EQ 6 book would be wonderful also. Thanks so much for offering this, I love your design. I really really want to win this book. The postage is not a problem, I pay! I’m French and I’ve known electric quilt. Your site is a delight for me. I refer often to your tutorials, your models as often as I realize that I have time. at the beginning, I especially appreciated your cats and humorous side, the rest followed. I also use “applies drawning” when I knew worked eq6. It would be fabulous to win your book, I’m still learning the eq6 and just received the eq7. I love your website. i think it would be great to have a copy of your book. i am a big fan of your applique designs and having a signed copy of the book will be great for my learning and also be an asset to have to promote it in Canada. I would love to have a copy of your book. Love you patterns and designs. Having trouble finding time to make everything I want to do. I have loved your website and your ideas for a very long time. I have always wanted the drawing book, just haven’t bought it yet. So it would be a treat! I am an eq addict, but have not yet mastered applique design – I’m sure your book would be a great help – I so enjoy your patterns and designs and I know this book would have the same great instructions as those on your website. I’ve just received the EQ7 upgrade and I’m determined to actually LEARN the program this time instead of just dabbling! 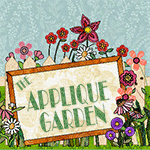 I’m an applique addict, so your book would be perfect. Postage is no problem, I’m happy to help with that since the book would be worth its weight in gold to me! I would love to have the EQ6 Applique Drawing book. I would happily pay the postage to Canada. I am new to EQ6 and am learning a lot. i have really enjoyed your site/patterns. The little owls are especially precious. I have only recently got into EQ and any help from a book would be wonderful! I love all the patterns on ANGIE PADILLA’S BLOG! Anyway– I tell people about you all the time and think you are one of the greatest DEALS around. I can remember back when I started quilting that I would never, ever be an applique person! Ha! In the last years that seems to be all I do! I love the quiet time with me, and my quilt square putting pieces on with a needle and thread. I have done manyquilts now and it is my greatest pleasure! 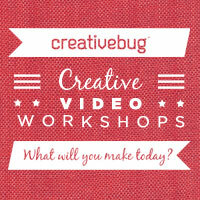 I’ve never designed myself, now that would be something new to do with my applique projects. I would be glad to pay for the postage, hoping it will go with my NEW EQ7 program that I just downloaded this morning! What a treat!